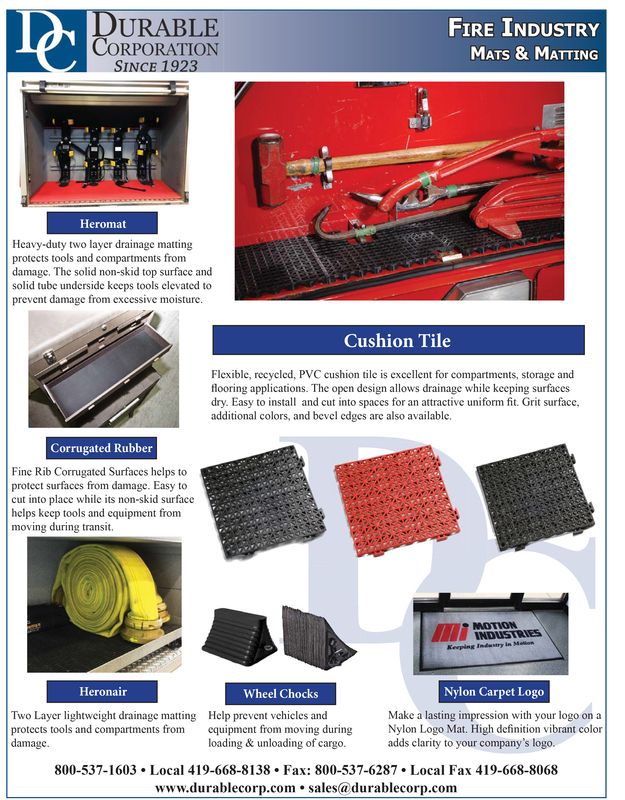 Our complete line of fire fighting industry mats not only protect floors in firehouses & work areas but also in fire engine compartments. A variety of rubber wheel chocks ranging from heavy to medium duty. Chocks help prevent vehicles and equipment from moving during loading and unloading of cargo. Make a lasting impression with your logo on a Nylon Carpet Logo Mat. High definition vibrant color adds clarity to your company's logo.